Effusions, benign or malignant, except those with high protein content. 10cm dilators with safety stops to minimise the risks of over-insertion associated with the traditional 20cm dilator. Safety scalpel, echogenic tipped insertion needle, guidewire, 10cm dilators with Safety Guards, 30cm catheter with radiopaque stripe and tip, syringe, stopcock, fir-tree & wide-bore luer connectors. 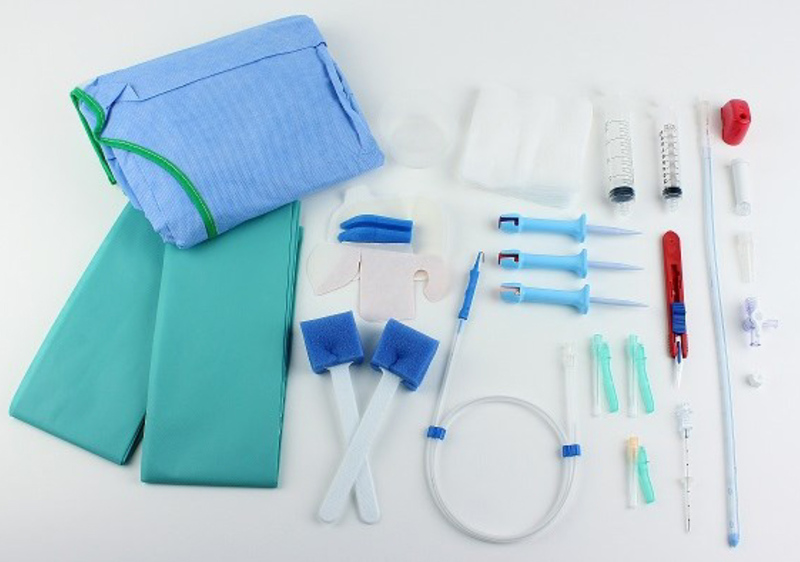 Safety scalpel, echogenic tipped insertion needle, guidewire, 10cm dilators with Safety Guards, 30cm catheter with radiopaque stripe and tip, syringe, stopcock, fir-tree & wide-bore luer connectors, skin fixation set, ward procedure pack including drapes, swabs, sponges, 10ml syringes, gallipot. 1. Clinical Evaluation of Seldinger Drainage Kit. Beaumont A C et al Proceedings of Intensive Care Society Meeting. December 1999.